Bernd and Hilla Becher were a German artist couple who became famous through their photographs. The monochrome presentation of industrial areas and architectures are known internationally. Bernd and Hilla Becher’s artworks and editions are characterized by their unmistakable aesthetics that always strive for complete neutrality of the presentation. Famous themes are the series of water towers, gas holders, and timbered houses. The artist couple taught at different universities. They also founded the Düsseldorfer Fotoschule together, from where many renowned German photo artists graduated. You want to learn more about the artist? 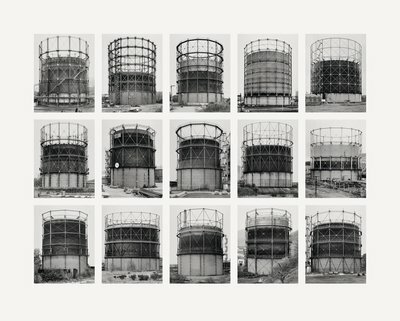 Visit Bernd und Hilla Becher to get more details about the artist's works. You want to buy artworks and editions of Bernd und Hilla Becher, but you have further questions? We collected detailed information for this purpose.